Standing underground at Dalradian Resources' Curraghinalt gold project in Northern Ireland. Credit: Dalradian Resources. LONDON, U.K. — On the sidelines of the Precious Metals Summit’s “2017 Summit London” conference in mid-November, The Northern Miner sat down with the CEOs of two Canadian juniors at the vanguard of rejuvenating mine development in the U.K.: Richard Williams, president and CEO of Strongbow Exploration (TSXV: SBW), which is re-developing the iconic South Crofty underground tin-copper mine in Cornwall in southwesternmost England; and Patrick F.N. 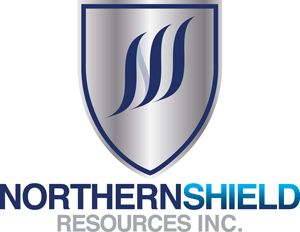 Anderson, president and CEO of Dalradian Resources (TSX: DNA; LON-AIM: DALR), which is pushing the Curraghinalt gold deposit towards production in Northern Ireland. We discuss progress at their individual projects as well as the wider state of mine development in the U.K. in recent years. Anthony Vaccaro: Richard, who are the key people on your team at Strongbow, and what are their backgrounds? Richard Williams: We’re part of the Osisko Group of Companies, and our mandate is strategic metals. So the first project we picked up is South Crofty, a tin mine in Cornwall in southwest England. On our board, the key people are Gren Thomas, the founder of Strongbow, who’s known for discovering Diavik. Other directors are Patrick Anderson here and John Burzynski, who represents Osisko Gold, and is running one of the world’s biggest exploration programs right now. They’re the three key people with a track record of success known to investors, and an ability to recognize good projects. AV: What is the tie-in between Osisko, Strongbow and Dalradian? Patrick F.N. Anderson: Sean Roosen being on the Dalradian board pre-dates Osisko Royalties — when “Osisko 1” was in existence. That goes back to a long relationship with Sean, who was trying to put together Osisko 1 while we were putting together Aurelian Resources. There was a time, when we were at one of the Zurich conferences, that Osisko was trading at 40¢ and Aurelian was trading at a quarter. If you’d invested a thousand dollars in each of those companies at the time, you’d be a multi-millionaire now. But through our experience of learning the capital markets side together — we’d pass on information to each other — we became quite close both in business and as friends. But through the sale of Osisko 1 to Agnico and Yamana, and the evolution of Osisko Royalties, the Osisko group have become probably one of the premier investment vehicles in mining in the world. They’ve got a huge book of investments, and their team has gone and looked at just about every project known on the planet, post-discovery and through to development. Anything they see out there that they like, Osisko will be in there if they have an opportunity to get in. They don’t invest in a lot outside Canada. Strongbow and Dalradian are exceptions at the moment. The headframe at Strongbow Exploration’s South Crofty tin mine project in Cornwall, England. Credit: www.falmouthpacket.co.uk. RW: It was Osisko’s idea to create Strongbow in its current form. They had some tin assets that they had left over from their acquisition of Brett Resources, but they were in Alaska, and they were earlier stage. If you look at the whole spectrum of the Osisko companies and Dalradian, the common theme there is old mining districts and good jurisdictions. The best place to find a new mine is next to an old mine. So Barkerville in an old gold camp in B.C., Falco Resources in the old Horne mine in Canada, Osisko Mining now with the Windfall project, and Osisko Metals in zinc around the old Bathurst camp. In our case, we’re in a world-class tin district, and within this district, the jewel in the crown was the South Crofty complex. We looked at it and realized that in the district, we had historic production in the order of 450,000 tonnes of tin metal, and that’s without all the copper that was mined initially. If you break it down to the project level, the bulk of that tin mining took place in the eastern half of the property, and on the western half of the property, you’ve got two areas that were mined. The Dolcoath mine, which was the richest single mine in Cornwall averaging over 2% tin. And about a kilometre to the north of that was the Roskear operation that was only mined over a couple hundred metres. It was the last place to be mined in 1998, and they were in 20%-plus material at that point. You’ve got all the western half of the property that’s never been explored, but on the east side you’ve got mineralized lodes that were continuous for 2.5-3 km strike length. Some lodes continue on the west side, but haven’t been looked at. The upside potential, and the attractiveness from Osisko Gold Royalties’ perspective, is there’s an initial 8-year mine life that we have in the preliminary economic assessment, but you’ve got potential for this to be a long life mine that’s going to pay off a long-term royalty. AV: Circling back, who are the key people in Dalradian? PA: We’ve moved beyond where Strongbow is. Strongbow is actually quite a young company in this iteration, whereas Dalradian we’ve had in creation for almost 8 years. Our “who” is really the guys on the ground. 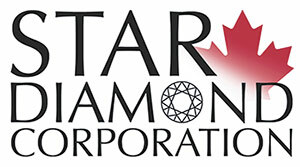 My chief operating officer is Eric Tremblay, who has years of experience working underground with Iamgold and Cambior. He’s another Osisko tie-in, as he was general manager at Canadian-Malartic. It was a departure from his underground experience, but he built Canada’s biggest gold mine, and then went on to work for Yamana and Agnico, and we were able to convince him to come out and work with us, to leave that life job. 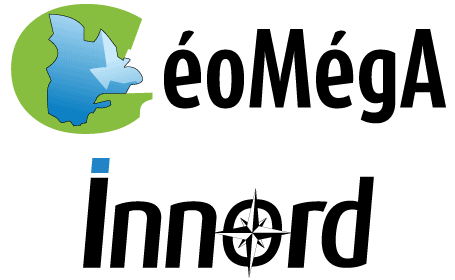 And the only reason he did that was he came over and saw the project and saw the potential of not just the feasibility that we’re putting together, but if this was in the Abitibi it would be in operation and people would be finding more deposits where we hold all that ground. 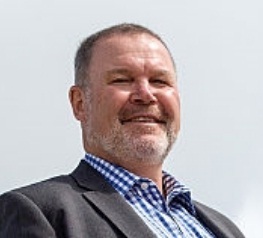 The second of our three key people is Greg Hope, our vice-president of exploration and a geologist who has years of experience finding and helping develop narrow vein gold operations in northern Australia and throughout Africa. His key role right now is leading that exploration away from the main deposit, because we’ve been finding high-grade gold hits throughout our 1,200 sq. km we have under license. That’s nearly 10% of the landmass of Northern Ireland, which has been really under-explored, if not barely explored since the days of Northgate, because in the Northern Ireland of the 1980s and 1990s, you couldn’t really go out on the ground. AV: And Northgate was the first to put in a mine in a hundred years. PA: Exactly. So Greg is going to be leading the charge on that exploration, and he’s very good at that. We’ve already had some good discovery success under his management of the geological team. We’ve hit at surface through grassroots prospecting, we have something 12 km away that’s grading 170 grams over half a metre at surface. 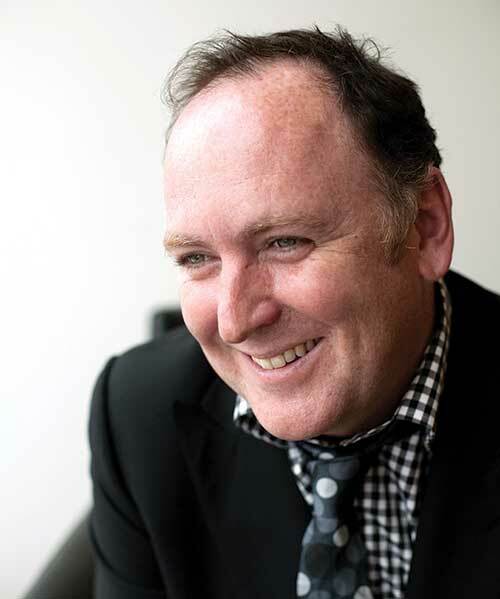 The third key person for us is Brian Kelly, our managing director in Northern Ireland, and he’s going to be carrying the ball of the permitting process, making sure it goes through the system in as an efficient, transparent and expeditious manner possible. The planning application is one of the most comprehensive planning applications ever put together in the history of Northern Ireland. AV: Is it broadly true that once you get your permitting in Northern Ireland, you’re good to go? PA: Yes. The feasibility study shows only a 10-year mine life. Our current resource is 4.4 million ounces, of which 2 million is measured and indicated, and we converted 1.4 million oz. into reserves, so that 10-year mine life is only based on those reserves. We’re actually permitting for a 24-year mine life, because we know we have more. Next April we’re coming out with a new resource that will show not only a much larger resource base, but we’ll bring up the measured and indicated, which will feed into a new feasibility study that will have a lot of optimization in it for improving the economics of it, but also we’re going to bring that reserve base up. AV: Given that you both have substantive resources with high grades, all in a secure jurisdiction like the U.K., why did it take so long for companies to come back to these areas? PA: It wasn’t perceived as low political risk until we had actually come in and done it. Coming from a background where I worked in Venezuela and we were very, very good and lucky to make some great discoveries. Then Mr. Chavez got elected, and it got too difficult and we moved on to other countries and settled in Ecuador. At that time Ecuador was considered a fantastic jurisdiction, and over the course of our eight years there, the government changed and the whole mining code changed, until after we made the discovery at Fruta del Norte, then Mr. Correa was elected and things were starting to look a lot like Venezuela. So we left. Maybe it was because we were used to such high political risk that we didn’t see a jurisdiction in the First World — where there is the rule of law, and if anything ever did happen and the deposit would be nationalized, there’s recourse to international arbitration, which we never would have had in Ecuador. It’s something we were considering in Ecuador: if we lost the deposit, what happens? There’s no recourse. In the U.K., we saw the rule of law, a jurisdiction with a highly educated population, under-employed in terms of engineering and industrial skills, and an opportunity to do something new here. AV: The religious tensions are dying down in Northern Ireland, right? It’s not like it was in the 1970s. We couldn’t raise a dime out of London. We hopped on a flight to Toronto and within a week we had $40 million. AV: Is it just London that sees Northern Ireland as high-risk? PA: I think it’s U.K.-wide, that perception. That question we had on our panel today: Why isn’t our share price higher? I think it’s the same thing: the legacy. AV: How about Cornwall, Richard? RW: First of all, we’re dealing with a different commodity: tin. 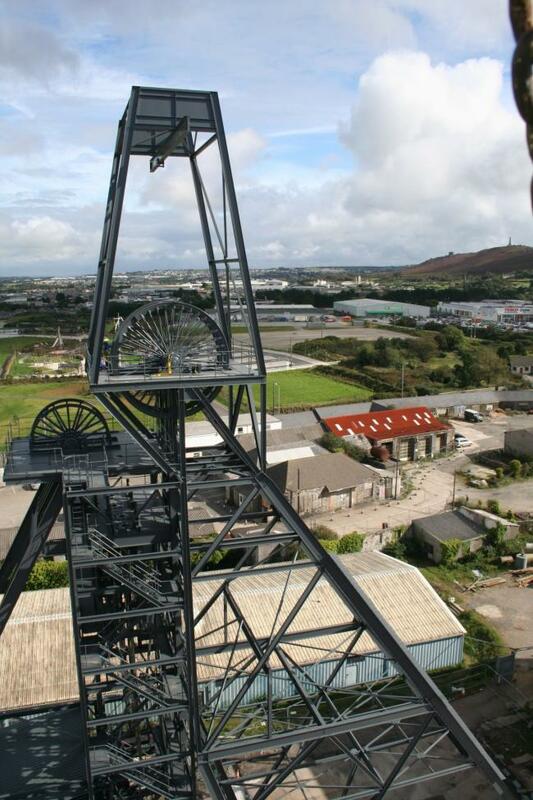 Up until 1985 the Cornish tin mining industry was a thriving industrial sector. The tin price collapsed because of a flood of supply, coming out of Malaysia, of easy to mine alluvial tin. It’s taken 30 years to work through that surplus supply to the market. At the same time, the U.S. had a strategic stockpile because they didn’t have any domestic production, and that’s been sold off. The current visible supply of tin in the market is at decades-lows and we’ve had a corresponding rise in the tin price. So from our perspective, it’s more about timing. The previous operators spent close to £30 million getting the mining permit and planning permission. But when they got that, we were in a bear market in 2013. It created an opportunity for us to acquire the project and now we can advance it when there is a deficit in the supply of the tin market. AV: So with Strongbow it was timing with respect to the tin market. But it’s coming in with new eyes. Curraghinalt — Dalradian’s gold deposit — went from owner to owner and none of the previous owners looked at the deposit itself. They were looking at exploration potential around it. They never knuckled under and did the big drill campaigns and the engineering they needed. AV: What gave you the faith that this was a worthwhile capital investment? PA: When I first flew over it, there was already a small adit into the side of the hill. So I brought a mining engineer with me, Louis Gignac, who ran Cambior and built mines around the world. That was it: recognizing that the deposit was going to be much bigger than it was, and Louis saying this can be mined. At the time, and this continues to today, we had the Geological Survey of Northern Ireland and the government saying: we want to see this industry developed. And we had good engineering support. That was the impetus to go out and take some of that fortune that we’d built on the back of FDN and invest not so much in a faith in the deposit, but in the team that would develop the deposit. And it’s panned out. 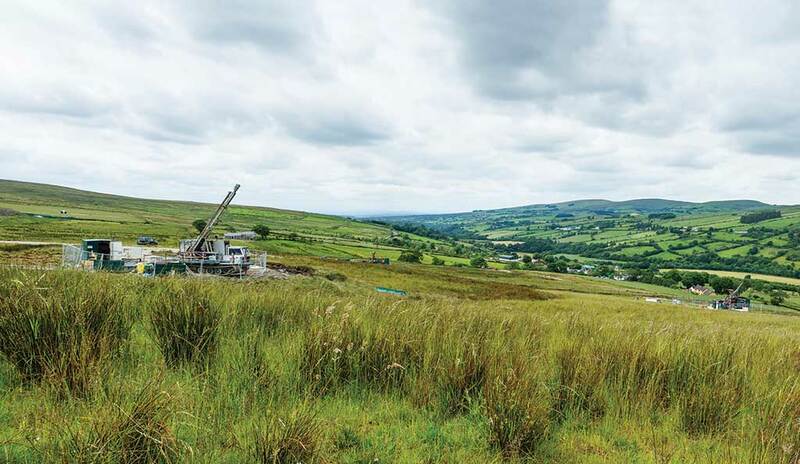 A drill rig at Dalradian Resources’ Curraghinalt gold project, 127 km by road west of Belfast, Northern Ireland, in 2015. Credit: Dalradian Resources. AV: But no jurisdiction is perfect. What are some challenges here? Is Brexit a factor? RW: I think Brexit works in our favour. We had a lot of governments saying they wanted to develop high-tech, service sector economies. But what we have … you can’t move a tin deposit or a gold deposit, and it’s something that will be around a long time. In our case, the South Crofty mine was a mine for 400 years. In the case of Dalradian, it’s probably going to be a 20-year mine life or longer. You’re in a belt, so it’s going to be generational with multiple mines. Now there’s the recognition that they have to generate jobs. They can’t sit around with their hand out waiting for EU subsidies to come in. And these are well-paying jobs that will hopefully spawn a much bigger industry. AV: Will this affect permitting? RW: We’re already fully permitted. The best example I can give is, this year we did the water treatment trials, we submitted the application in June and we had the permit in October. I don’t think you can do that anywhere in the world. It just goes to show how a collaborative effort — working with the environmental agencies and with the local community to make sure their concerns are addressed and doing something positive for the environment — will get local support. They recognize that the longer term goal here is the job creation and to boost the local economy. And that’s long-term, highly skilled jobs. From our side, the permitting’s been good. The one challenge in the U.K. is they’ve changed the way the mineral rights work here. They’re all very old English laws related to parcels of land where whoever owned the land had the mineral rights. So you could have some very irregularly shaped mineral rights that are hundreds and hundreds of years old. So it’s a matter of filtering through and understanding who owns what. AV: Did you go out looking for a tin project, or just a great project and it happened to be tin? RW: The mandate within the Osisko Group was: let’s look at tin-tungsten. It was a strategic metal approach. They’d already taken care of some of the gold opportunities for Osisko Mining, Barkerville and Falco, and in base metals you’ve got Osisko Metals. So we fill a different niche. AV: And Patrick, from your perspective, why gold? Why invest in a gold company? PA: Look, I’m not an economist, but I see that gold has been a commodity for essentially all of human history. It’s not going anywhere, and it’s going to be a solid investment for longer than any of us are going to be around. And it’s a limited pool of pre-production you can invest in. There’s only a handful of development-stage gold companies around of note, and Dalradian is one of them — and it’s not in Africa, it’s not in South America, it’s not in Russia. The major gold companies’ production is falling off. If you look at the waterfall of any of their presentations, in the next ten years, they’re going to be bereft of product. And it takes on average — last I heard — 20 years from discovery to production. That’s a long lead time. RW: What’s critical to all these projects is jurisdiction. The world is becoming a smaller place when people really want to invest their time and money. You can look at what’s happening in Tanzania with Acacia Mining and the impact of a new government there. It’s a very important decision to make: where do you want to spend your shareholders’ money? And for us, it’s a secure jurisdiction. AV: Patrick, what would be your milestones for success with Dalradian? PA: We’re already there. We’ve taken what was a known gold deposit at Curraghinalt that was much smaller and we really recognized the potential to make it bigger. For me personally, success is proving that the ounces are there, proving that it’s a much larger body. Indeed proving that we’re in a district, and not just one gold deposit. These kinds of gold deposits don’t occur on their own. 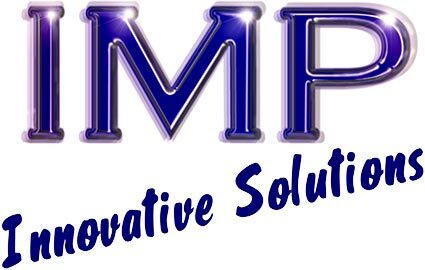 We’ve grown the resource, completed a positive feasibility study, we’re moving it through permitting and making other discoveries. To my eyes, that’s a great success. RW: To me, success is growing a new mining company and putting South Crofty back into production and restarting the mining industry on Cornwall. We’ve made huge strides in the last year at project level, and we’re keeping it moving. We’re proved some of the doubters wrong: we can treat the water; we can get it permitted; we can get local community and local government support; and we can work with the environmental agency to get a project into production. We keep knocking barriers down. AV: Tell me more about the water issue. RW: Currently the mine is flooded and you have untreated mine water discharging continuously into the Red River. The Red River is about as wide as this table, but it’s bad for the environment. What we proposed is: in order to get the mine in production, we have to empty the water from the mine and treat it first. We were given parameters by the environmental agency as to the water quality they would look for. We ran a four-month water treatment trial between November and March of this year taking water from 350 metres depth within one of the shafts. So it’s a good representation of the water quality, and shows that we can treat it. The next step for us is to build the water treatment plant. We recently sold a royalty to Osisko for just over $7 million, and that will fund the construction. Richard Williams (second from left), president and CEO of Strongbow Exploration, and Patrick F.N. 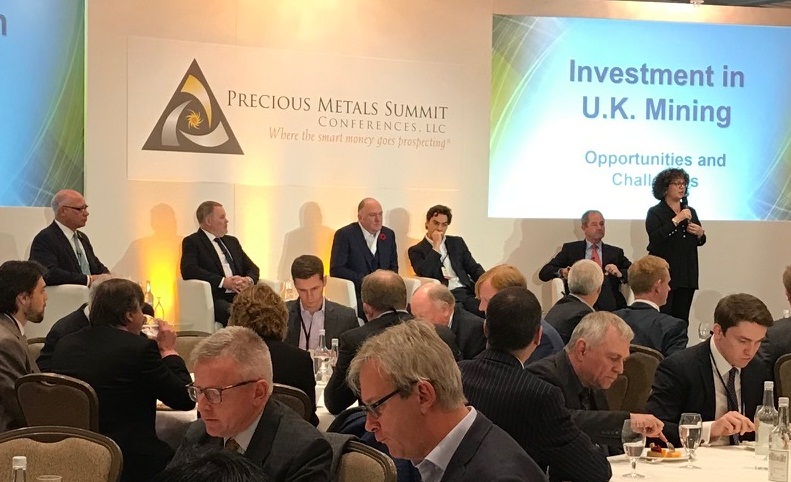 Anderson (third from left), president and CEO of Dalradian Resources, on stage during a panel session at Precious Metal Summit’s “2017 London Summit” in London, U.K., on Nov. 9, 2017. Credit: Precious Metals Summit. AV: What will it take for the U.K. to become the next hot mining jurisdiction? PA: We’re doing it. Look, eight years ago we had zero U.K. investors and now we’re up to 40%, and have been for the past three years. We’ve been underground for two years and have been using explosives nearly every day with zero accidents. No problems. RW: There is one other company exploring for tin to the northeast of us. We control a pretty big land package outside of the mine licences. So the next step for us is to assess that. On the back of the progress we’re making at South Crofty, I’m sure we’ll generate more interest from potential investors to come in as partners to advance the exploration projects as well. PA: It’s not just tin and gold. I can see other opportunities in the U.K. in copper in old mining jurisdictions that haven’t been looked at with a fresh set of eyes using modern technology and modern commodity prices. I can see at least two or three, at least, other plays for big projects. AV: Could you share those? 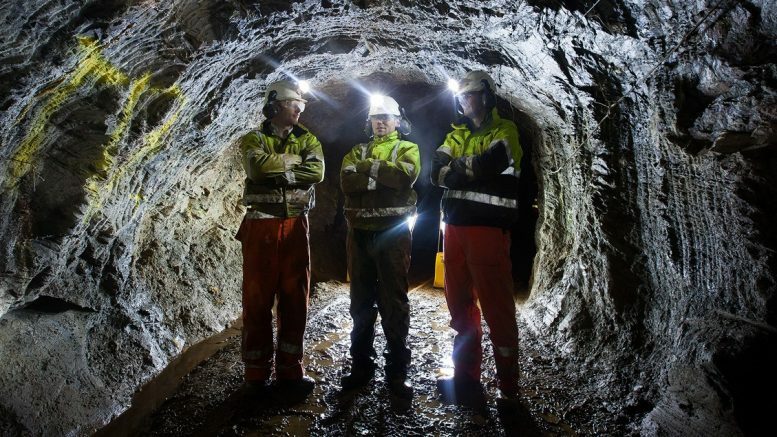 2 Comments on "Interview: CEOs of Strongbow, Dalradian enthusiastic for tin, gold projects in UK"
Where to begin responding to some of the outrageous claims made by Patrick Anderson in this article. It says something of the amount of people in support of this campaign that I can guess at the name of the person who said they had been waiting for the mine to happen so little is the actual support on the ground. 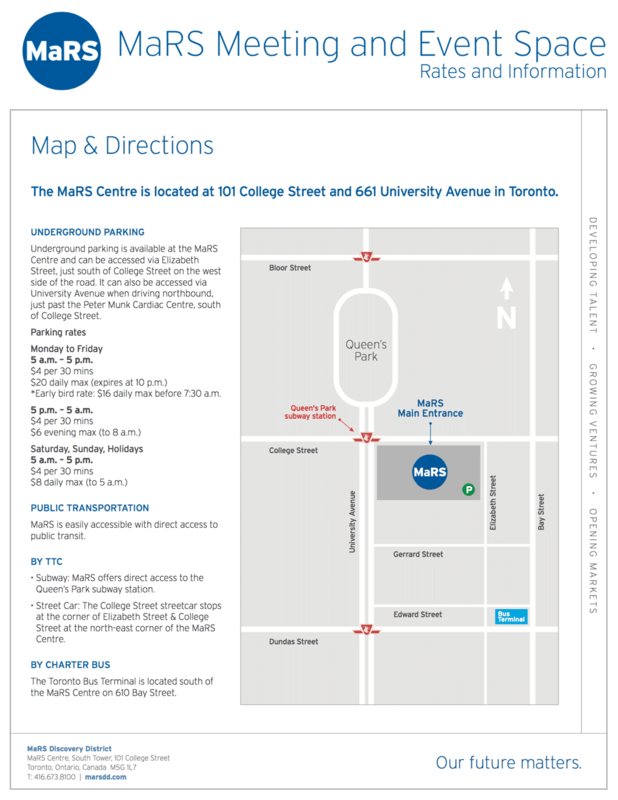 Where there parking facilities for their public consultation couldnt hold all those that came to protest. Where a the local sports club held a vote among its membership and considering its proximity to the proposals less than half a mile from they rejected the prospect of money from Dalradian it does not appear to be in line with what Patrick Anderson is saying (nor is it I live here and I know its not the case). Also Patrick Anderson is in my opinion hoping for some investment before the news really hits and the executive gets back in place. That the second largest party in the last assembly election second by 0.2% of the vote resoundingly voted at their Ard Fheis (party conference) to bring into legislation that would make Dalradians planning almost impossible to see through to completion considering their opposition to the use of cyanide and private Gold mining firms from being given permission to operate in Ireland. All of this while considering that they know that the application can’t be dealt with until the executive is running again (who knows when that will be) due to the status of the application. It is apparent to me that Patrick Anderson is either down right lying, misinformed or is having the wool pulled over his eyes. Either way it doesn’t bode well and this smacks of an attempt to garner investment in this venture much as happened with Aurelian resources. He claims he couldn’t envisage the political change there but he shouldn’t be so ignorant of the political change occurring now. Especially given the high esteem he apparently places in this project and the concerns he must have in relation to Brexit who knows what will happen there again. Will a physical border incite Nationalistic aggression if so a ready supply of explosives in an area that would feel ill at ease with a physical border would be ill advised and costly to operate again it may sound unlikely but it is something that the political parties here are increasingly concerned about. All of this uncertainty adds to the doubt about feasibility studies how accurate can they be when Europe isn’t sorted out the political party in charge of their application hangs in the air and there is a large scale agitation towards the proposal amongst locals. The list of issues with this proposal is longer than what I’ve mentioned but I’ll leave on this point. I think it concerning that Patrick Anderson would appear to be trying to pull the wool over investors eyes about the prospects for the proposals. I would want anyone to loose their fortune speculating on a donkey of a project. Interesting that Patrick Anderson takes such a positive view of the potential gold resources at Curraghinalt. In April of 2017 his company shipped 15,000 tonnes of gold laden ore to Canada. After costs which would include policing costs for the explosives used Dalradian made a whopping 11.79 GB pounds per tonne. A quick maths formula – Dalradian plan on processing 1400 tonnes per day x 7 days = 9800 tonnes. Dalradian will make a profit of 11542 GB per week – that may be higher should the Northern Ireland Police agree to do the explosives security for nothing. Dalradian is very loathe to publish the reality, Curraghinalt does have gold bearing veins but the dilution is enormous, so much so that Dalradian published an update on a feasibility study which was used to attract investors. It is unusual to flag up a very critical problem and one that goes to the heart of Dalradians problems, there is little gold to extract, the veins are too narrow. Maybe Dalradian forgot to include the narrow veins, the ones that machinery can’t work at with out diluting the gold. Meanwhile up at Greencastle tempers are flaring and the community is determined to stop Dalradian, I heard they have friends in very high places and are using international lawyers to develop a highly sophisticated challenge to the Curraghinalt development. It will be interesting to see what the lawyers dig up – I suspect there will be a mass of research that will point to potential harm to people and the environment., I also heard that the Director of Community relations was sacked last year. I drove up past the area on Saturday last and in the centre of the village of Greencastle is a mock up coffin – it reads RIP Dalradian it may read in the near future RIP Dalradian investors.